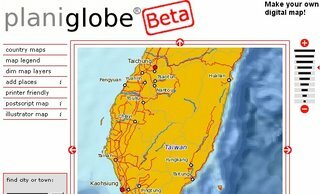 Planiglobe is another map site. It is not like Google Map and Virtual Earth, it is a small but nice map site. You can creat your local map, add your favorite place on the map and search it. It is fun.